The MakerBot Method Performance 3D Printer bridges the gap between industrial and desktop 3D printing. It offers uncompromising dimensional accuracy and industrial reliability combined with the fastest CAD to part workflow. Don’t miss this limited-time opportunity to be among the first to experience Performance 3D Printing. 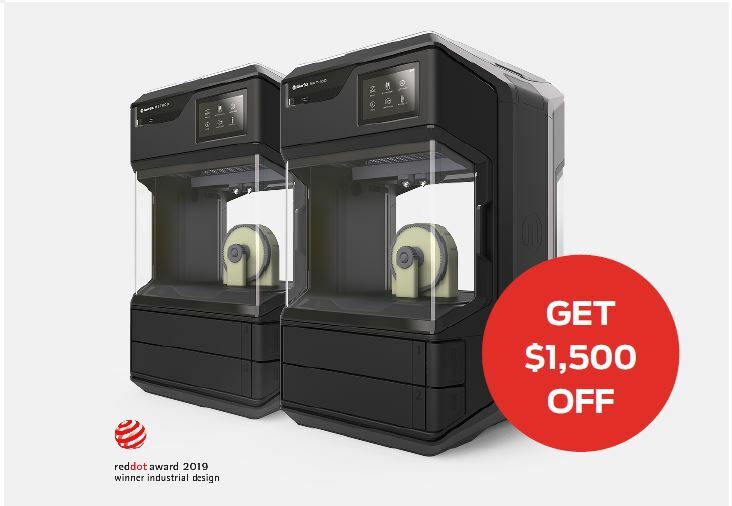 Buy 2+ Method 3D Printers (900-0001A) or Method for Business (900-0001A-KIT) 3D Printers and get $1500 OFF! 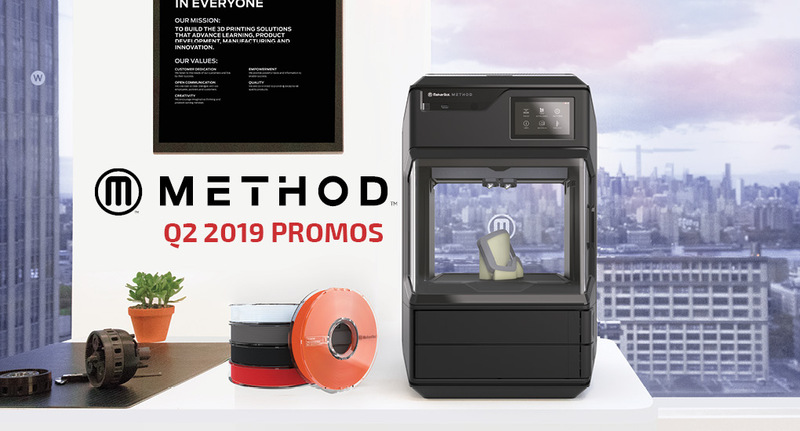 Request a MakerBot Method demo today! 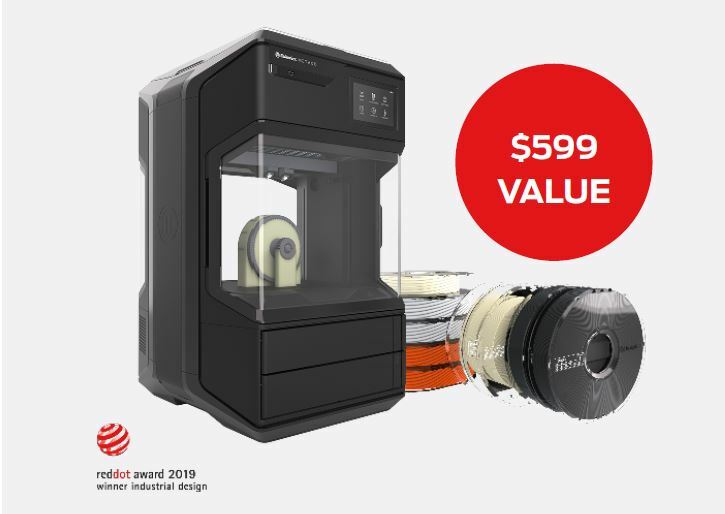 All orders that include only (1) MakerBot Method or only (1) Method for Business are eligible to receive one (1) Tough Mixed Pack, OR all orders that include (2) or more MakerBot Method or (2) or more Method for Business are eligible to receive a discount of $1500 on the order(The “Offer”). The Offer is valid while supplies last. The Offer starts on April 1, 2019 at 12:00 AM EDT and expires on June 14, 2019 5:00 PM EDT.